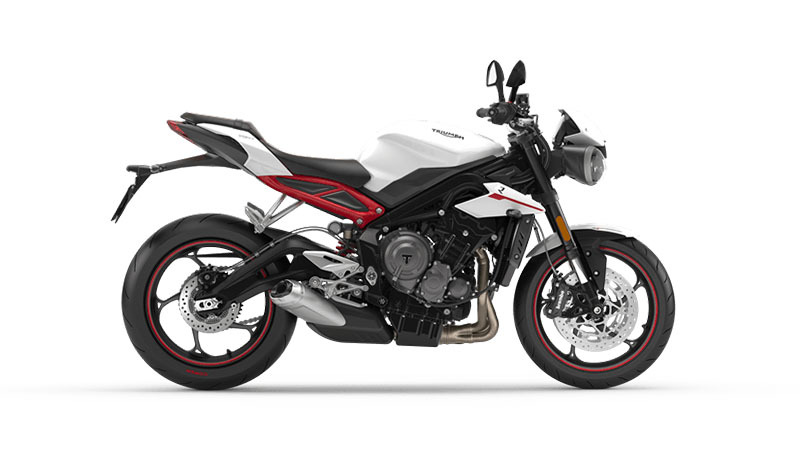 Triumph Motorcycles has introduced two new color options for the Street Triple RS. 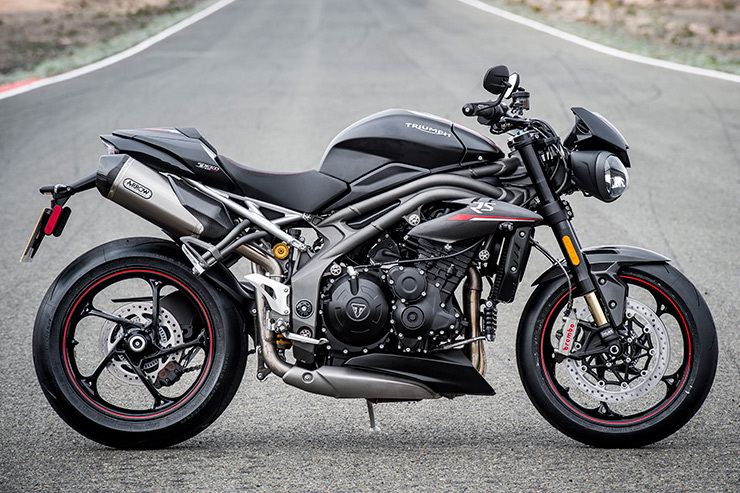 The new Triumph Street Triple RS will now be available in Crystal White and Matt Jet Black color options. The prices for the new color options are not yet official release by Triumph and will most likely retail at the existing prices of INR 10.55 lakh (ex-showroom). Apart from the added color options, there are no mechanical changes to the range-topping Street Triple model. The motorcycle continues to use the 765cc liquid-cooled, 12 valves, DOHC, an in-line 3-cylinder engine which is capable of 123 hp of power @ 11,700rpm and 77Nm of peak torque @ 10,800rpm. The motorcycle is pack with features which include five riding modes, which adjust throttle response, ABS and traction control settings. The Street Triple RS comes with 5 modes: Road, Rain, Sport, Rider Programmable and Track. Breaking is provided by the range-topping Brembo M50 4-piston radial monobloc calipers on the front and a Brembo single piston sliding caliper on the back.